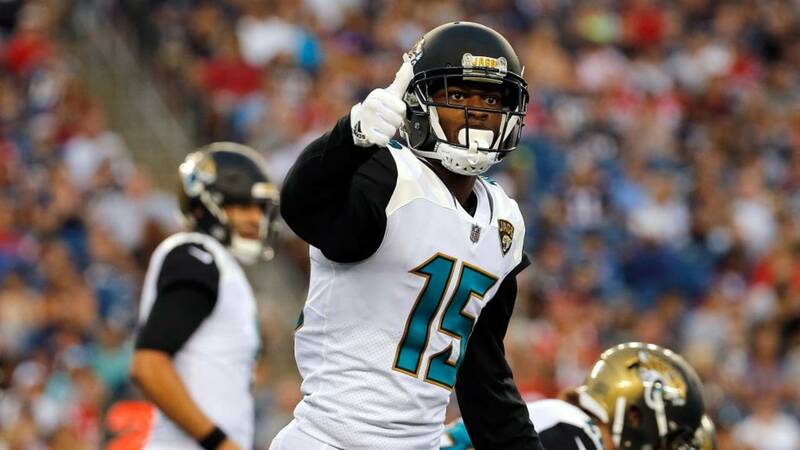 JACKSONVILLE, Fla. - On Tuesday the Jacksonville Jaguars made the decision to not franchise wide receiver Allen Robinson. Designating Robinson with the franchise tag would’ve come at a cost of $16 million for next season. The two sides still have until March 12 to work out a contract extension. If no agreement is made by then, Robinson will become a free agent on March 14. Robinson’s health is likely one of the barriers that’s preventing a deal from getting done. He tore his ACL on Jacksonville’s first offensive drive of the year and essentially missed the entire season. Over the past couple of weeks Robinson has used twitter to share updates on the status of his rehab and explained that he expects to be cleared medically well before the start of training camp. Whether or not Robinson will be in Jaguars training camp or playing for another team remains to be seen. In an interview with ESPN Robinson told Adam Schefter that he’s focused on his health and his agent will take care of the contract negotiations.